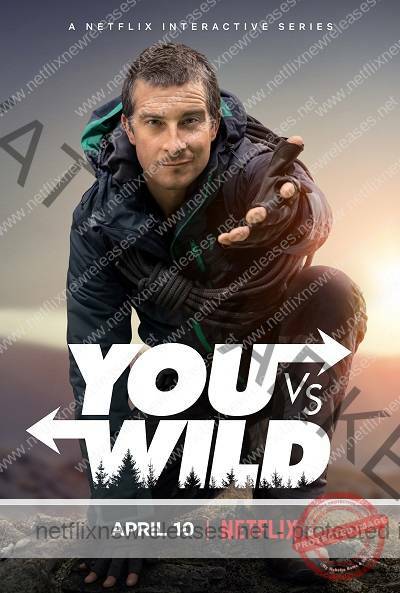 You Vs. Wild is finally available for fans to stream right now on Netflix! It’s Netflix Release Date is April 10, 2019. Watch the trailer, casting news and get everything else you need to know right here. You vs. Wild is a survival show starring and following Bear Grylls in every episode on a survival show taking place in various remote locations around the world, and with a key feature of a branching narrative with multiple choices within the episode, where a user may direct the course of the story. Join Survival Expert Bear Grylls On Exciting Adventures All Over The World. In This Groundbreaking Interactive Adventure Series, You Make All The Decisions And Whether Or Not Bear Succeeds Or Fails Is Totally Up To You. You Vs. Wild’s Netflix Release Date is April 10, 2019. If you like what read about You Vs. Wild, please remember to share Netflix New Releases on Facebook, Twitter or wherever you guys want it’s all appreciated.